In case you didn’t already know, AWE is one of the biggest names in the Audi enthusiast community. 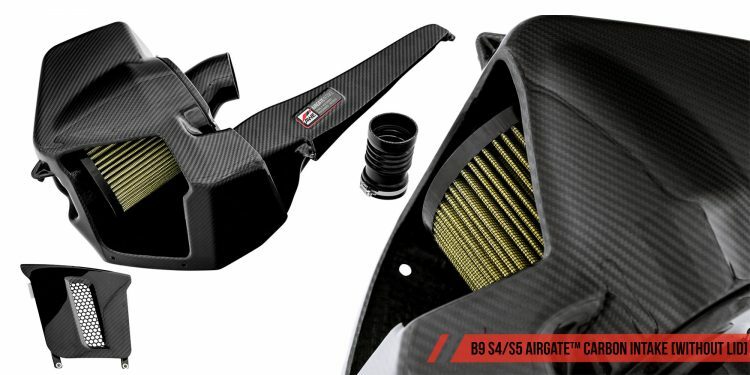 They produce tons of different parts for a massive amount of old and new Audi vehicles. 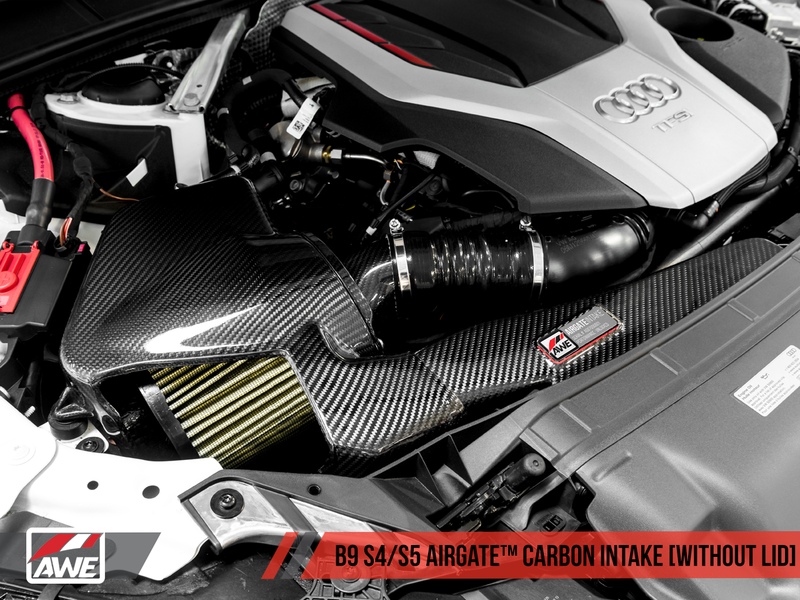 The B9 S4 and S5 are relatively new to the market, and AWE has been developing and releasing new parts for it. 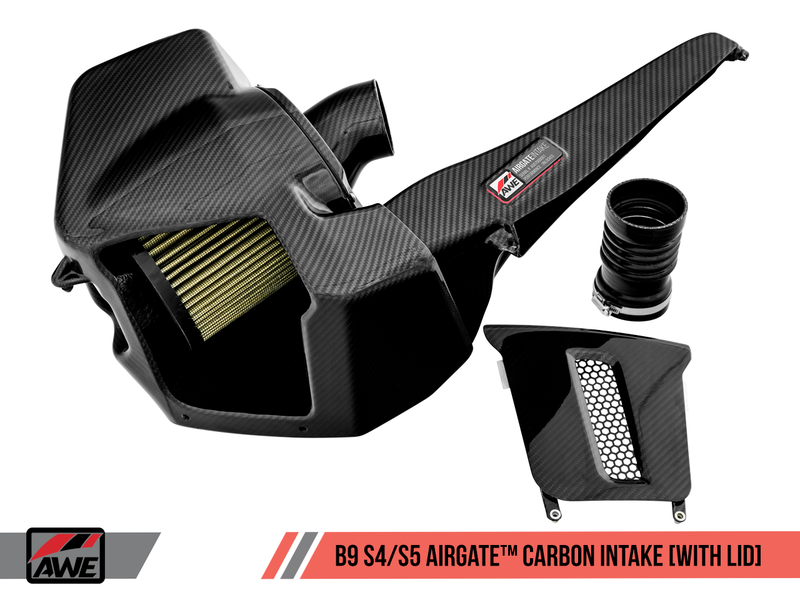 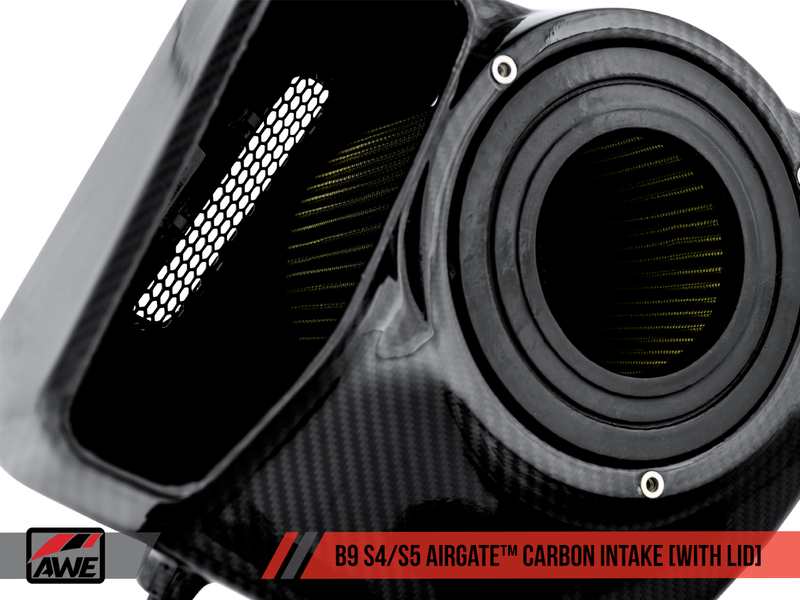 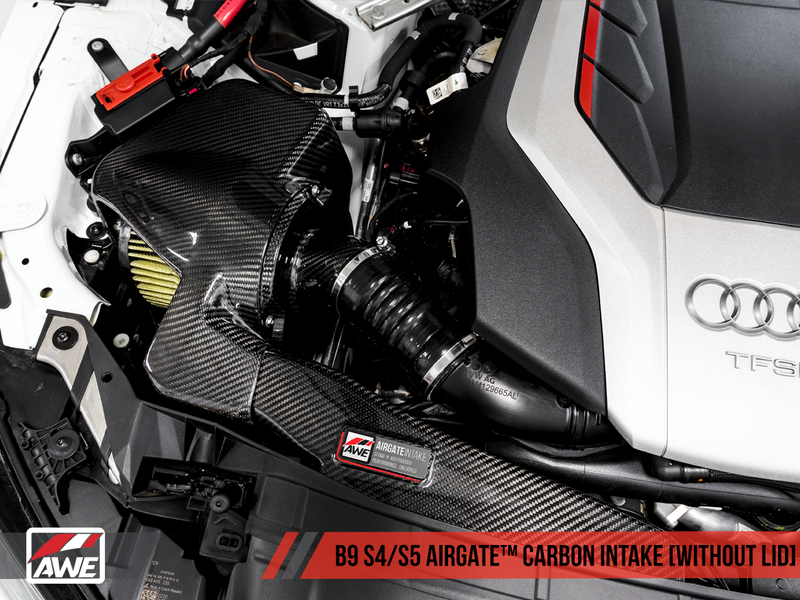 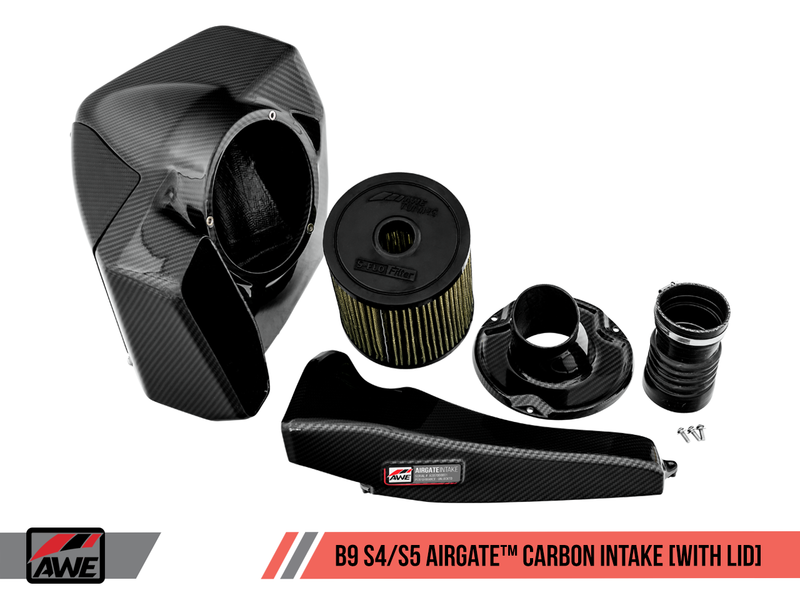 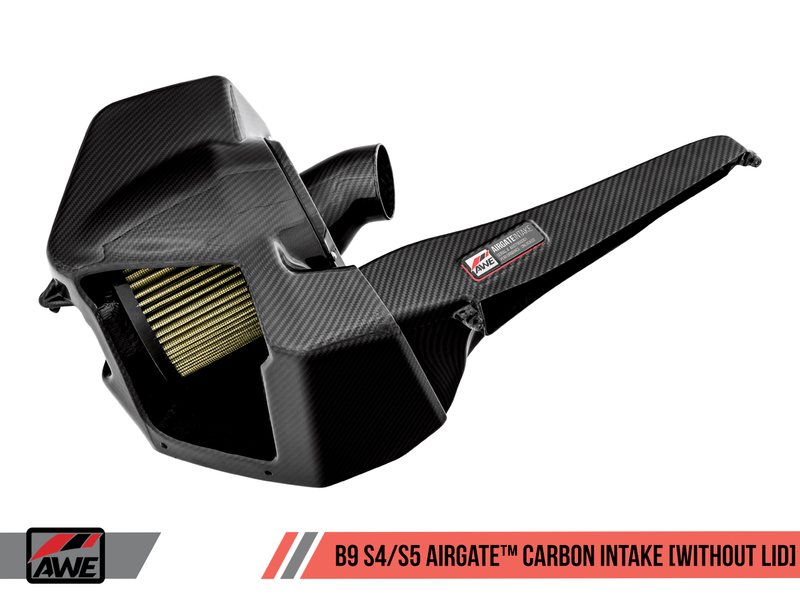 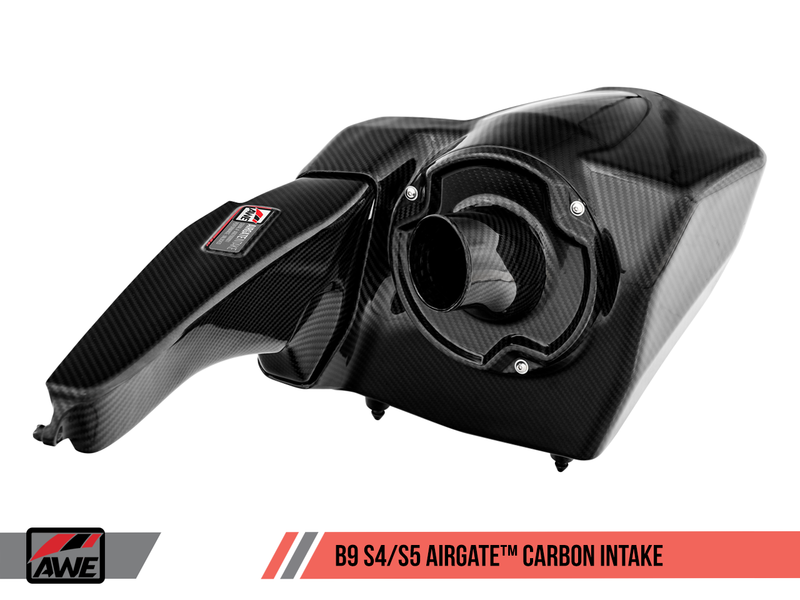 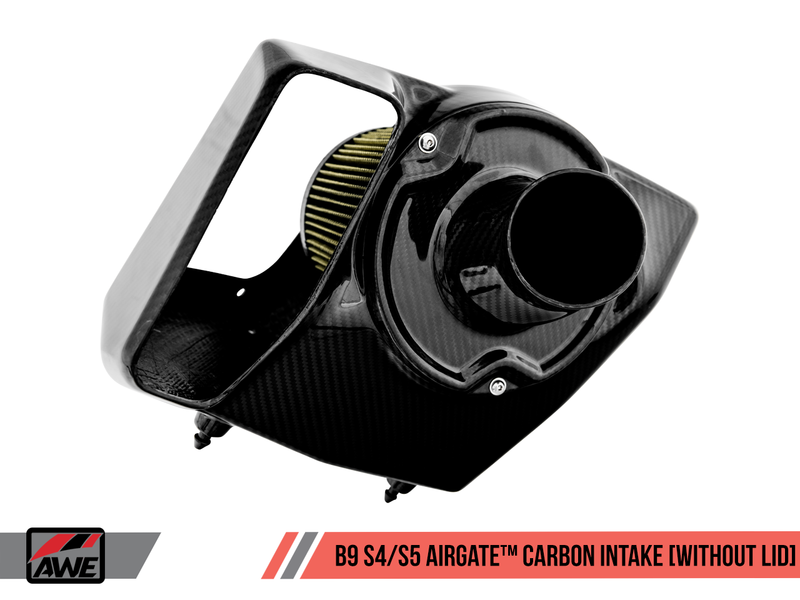 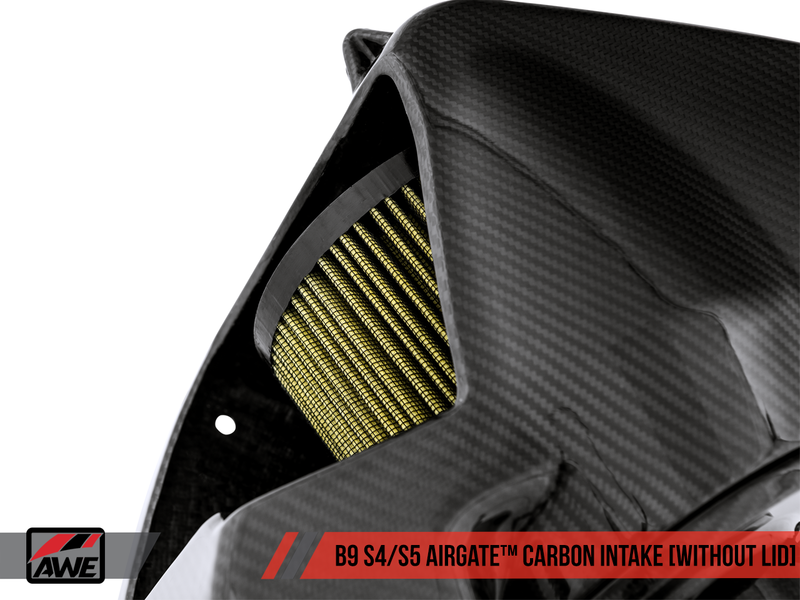 Their latest part for the B9 S4/S5 is their Airgate Carbon Fiber Intake. 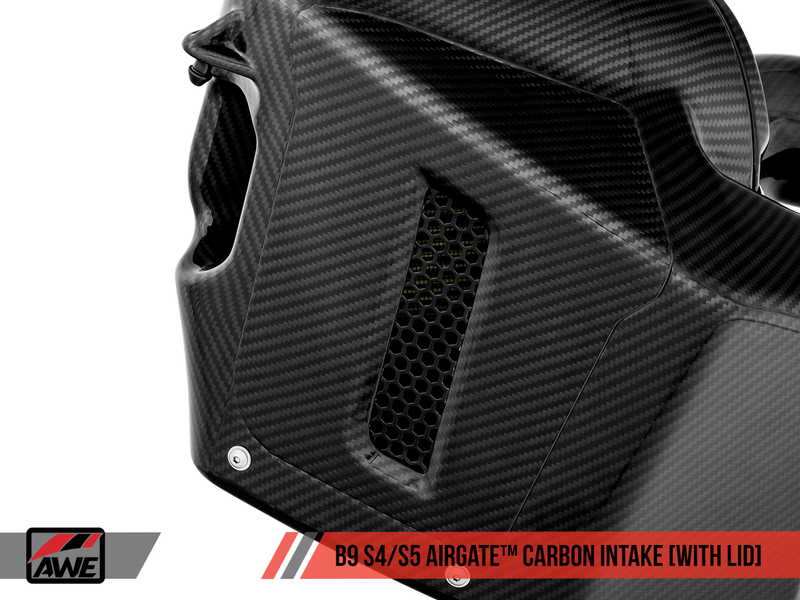 With the Awe Airgate Intake you can expect maximum gains of 19 horsepower and 22 ft-lbs at the crank. 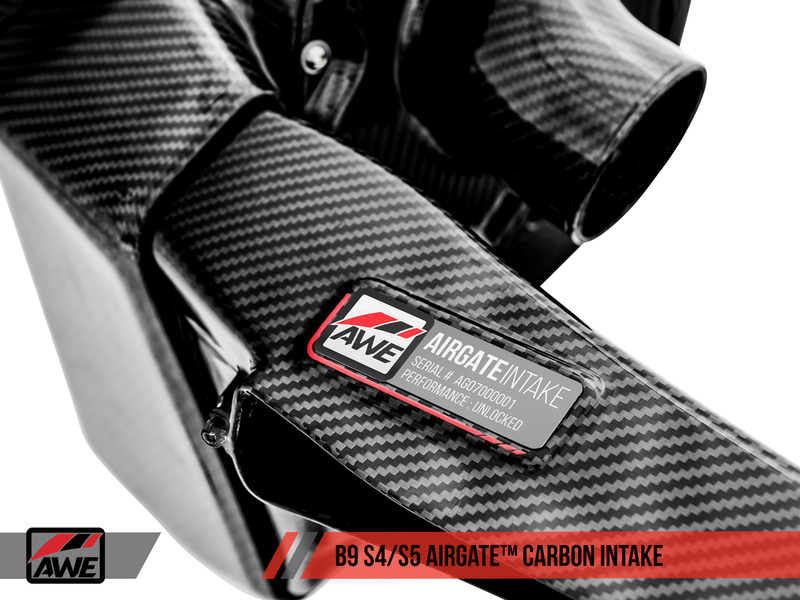 These gains are pretty impressive and truly reflect how much development time AWE puts into their products. 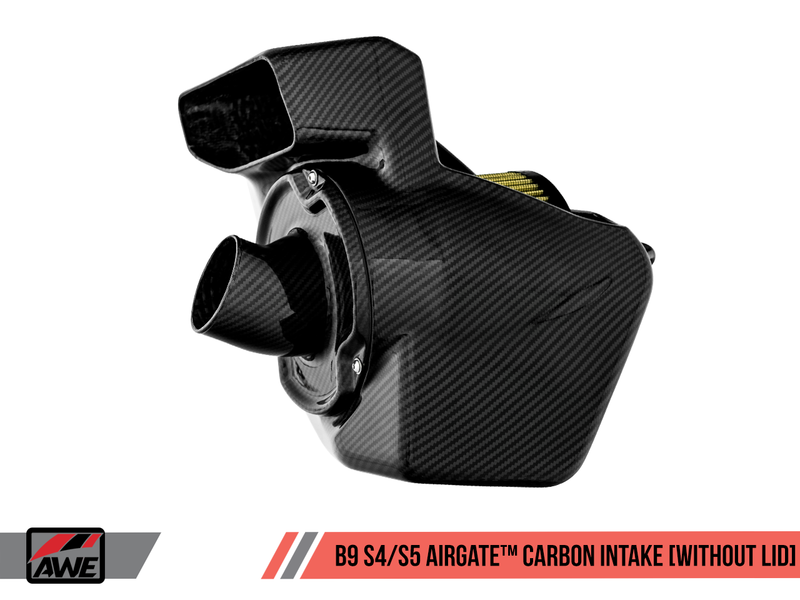 Separate from the gains is an increased amount of turbocharger noise which really changes the whole driving experience. 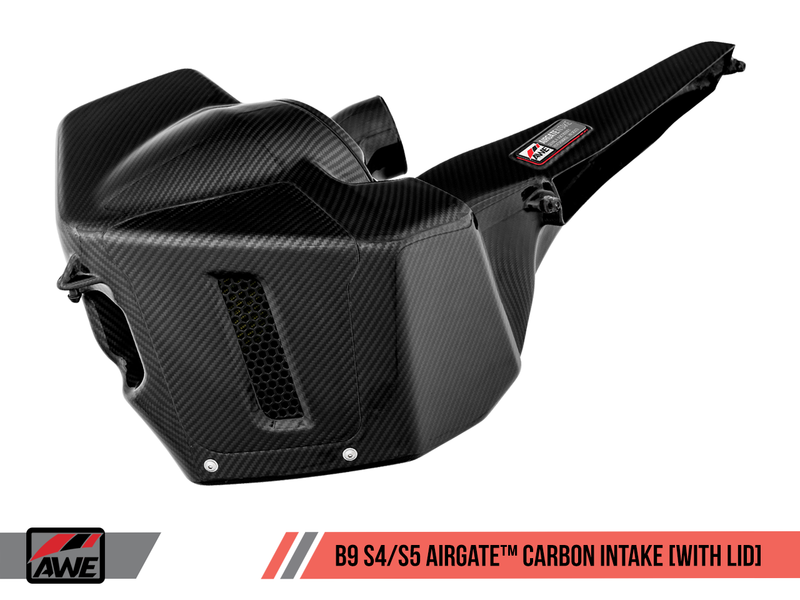 With the AirGate lid off, the induction noise in quite noticeable, but with the AirGate lid on the amount of noise is comparable to stock.